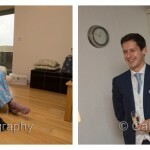 Not sure that you need two photographers for your wedding? 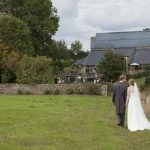 As you will see from Lou & Matt’s Kingscote Barn wedding, we shoot in completely different ways even when covering the same scene. 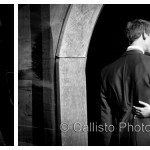 Hopefully, by seeing the set of images below, you will see the benefits of booking us to photograph your wedding. Whilst I am taking one shot, Chris is taking the other. Having a husband and wife team that work together all the time has tremendous benefits over a single photographer or a photographer who relies on assistants. We always work together and know where each other is at any given time during the day and by working in an efficient and unobtrusive manner, we make the best use of time available. If you like our style of photography and want to see more photos of how we work together, please have a look at our ‘Two Photographers’ and also our Portfolio. 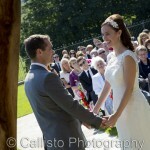 Also check out Lou & Matt’s full wedding blog for more fab photos taken at Kingscote Barn.